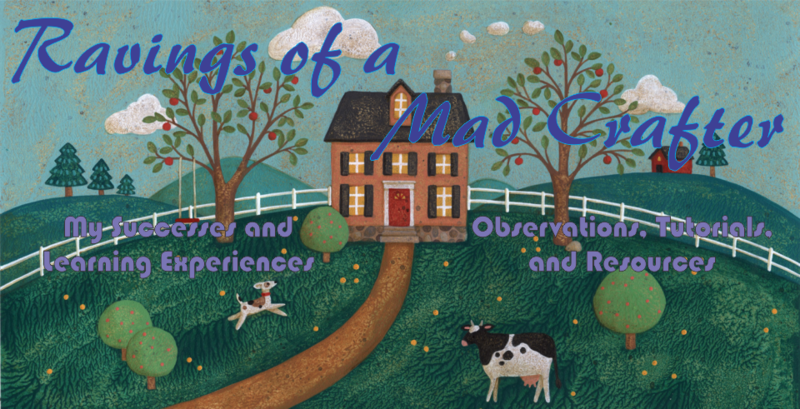 Ravings of a Mad Crafter: Boring! Boring! Since I started blogging daily the posts have been boring. So I will have to think of something interesting to post. Today I was working on the 1885 outfit specifically the shirred piece but my hands were screaming at me. My hands are very tired and sore after the holidays. So I worked a bit on designing some accessories for Barbie and going through some fabric to make shawls for her. Hopefully I can put a link to a file with the design so anyone who wants to try it can. I'll do my best it think up something fun to make!